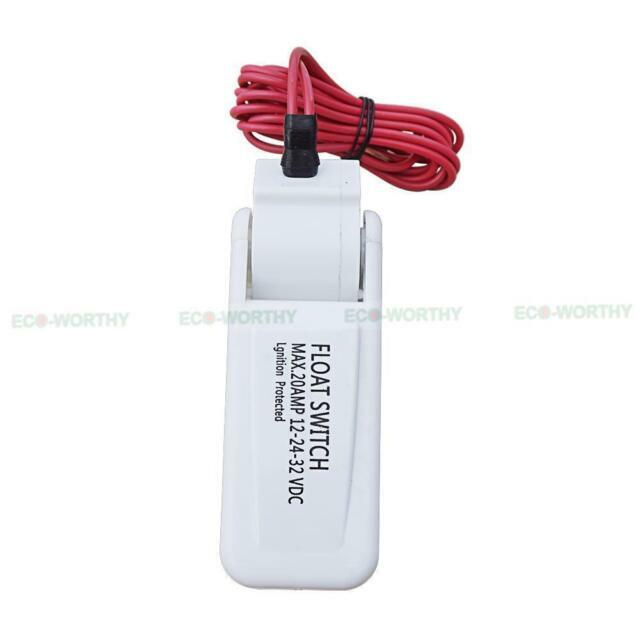 ● 1pc Bilge Float Switch. ● Periodically clean any accumulated debris from around the switch or integral switch guard. this will allow free flow of water to the float. ● Turn pump on when water level reaches 2" (51mm); turn pump off when water level reaches 3/4" (19mm).